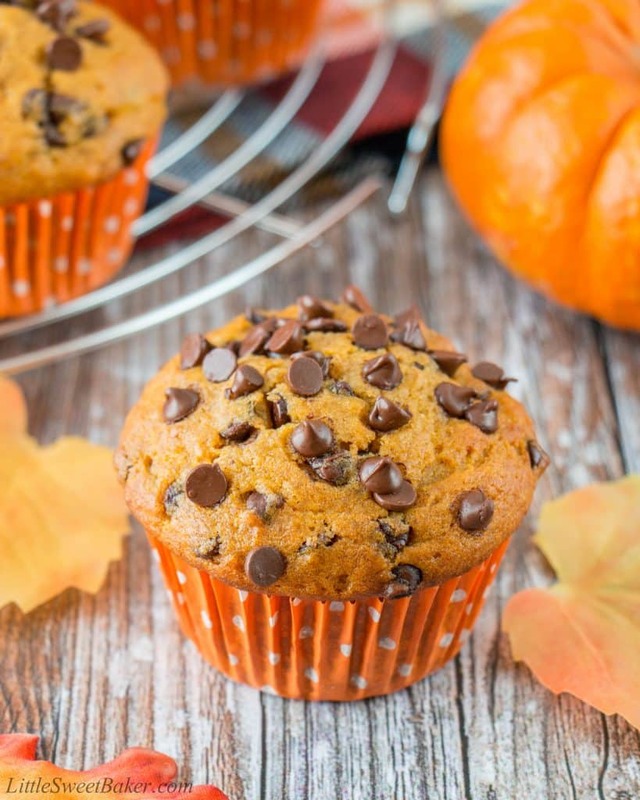 What better way to embrace pumpkin season than with the addition of chocolate. 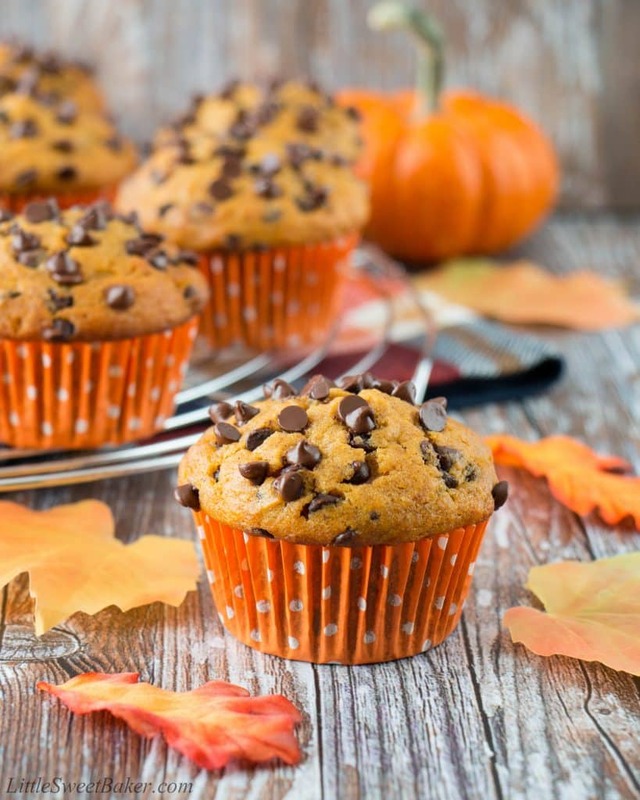 These soft and fluffy pumpkin muffins are spiced with a hint of cinnamon and loaded with chocolate chips. It still feels like summer here in Ontario even though the leaves are falling and the calendar turns to October in two days. Yikes! Can’t believe it’s going to be October already. I feel like it was just summer vacation and the kids have not been in school that long. To me, the month of September has just flown by. In no time, it’s going to be Christmas and another year will have passed. Sorry, don’t mean to frighten anyone with the thought of Christmas already. So in the meantime, let’s enjoy all the pumpkin festivities we can. 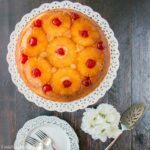 There’s nothing unusual about this recipe. It has all your basic dry ingredients like flour, baking soda and salt. I added a bit of cinnamon because I just love pumpkin and cinnamon together. I used vegetable oil because I was not in the mood to melt any butter and I wanted to make the muffins by hand. Then there’s eggs, sugar, pumpkin of course, some vanilla, and yogurt for added moisture and tender crumbs. Oh, and chocolate chips. 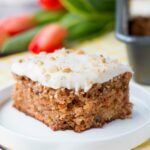 The minis are the best for this recipe. Because they more evenly distribute in the batter, you get a whole lot more chocolate in every bite. 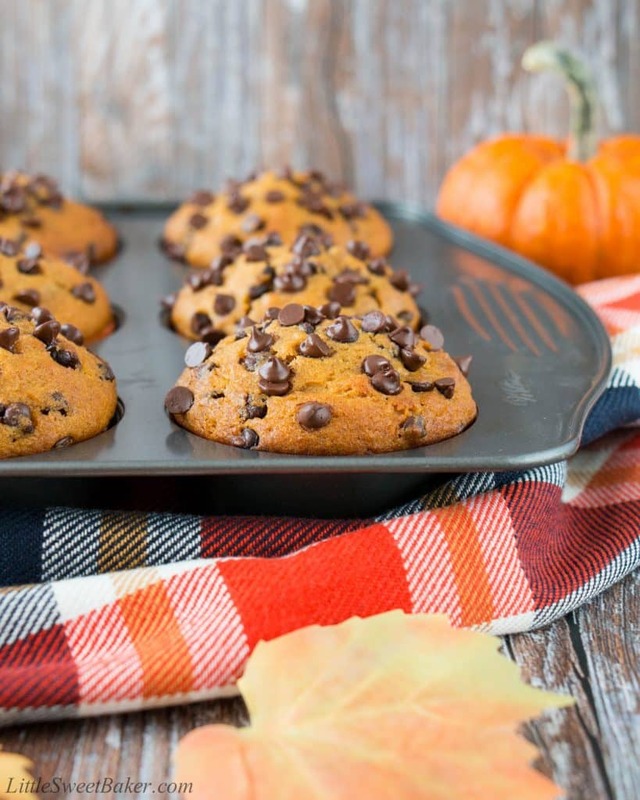 These pumpkin chocolate chip muffins are a pumpkin-lovers’ and chocolate-lovers’ dream combined. 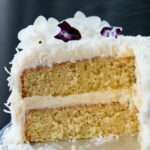 The texture is soft and fluffy, almost cake-like. The taste is sweet and chocolatey with a soft vanilla scent. It also has a warm cinnamon note with the lovely flavor of pumpkin. 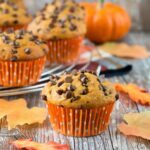 These soft and fluffy pumpkin muffins are spiced with a hint of cinnamon and loaded with chocolate chips. Preheat oven to 425F. 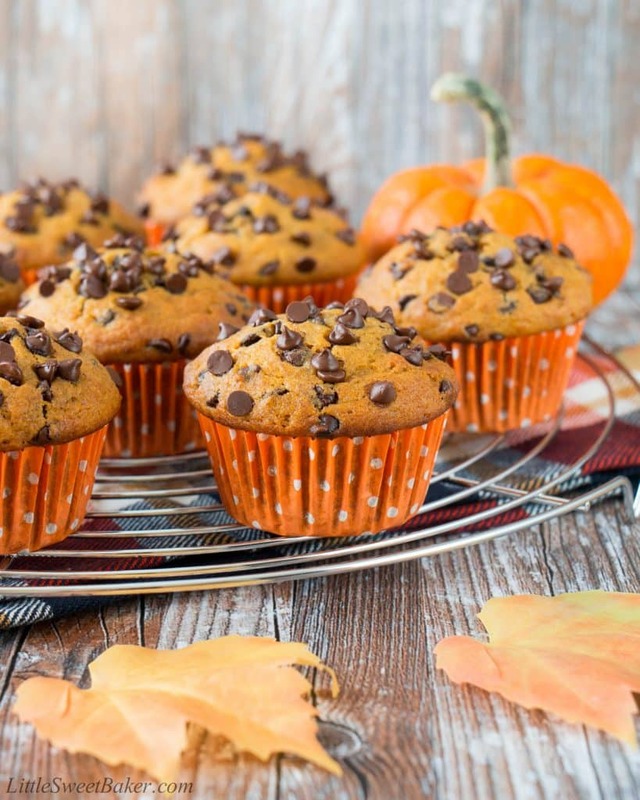 Line a 12 cup muffin pan with paper liners or spray with non-stick cooking spray. In a large bowl, whisk together the flour, baking soda, cinnamon and salt. Toss in the chocolate chips and set aside. In a medium bowl, whisk together the rest of the ingredients. Pour the wet ingredients into the dry ingredients and stir until just combined. Divide the batter into the 12 muffins cups and bake for 5 minutes at 425F. Then keeping the muffins in the oven, lower the heat to 350F and continue to bake for another 15 minutes or until a toothpick inserted into the center comes out clean.